We help you to bring your ideas to market - fast! WIREFRAME WITH NINJAMOCK | HOW IT WORKS ? Start designing. In only a few minutes you can make your first wireframe. Use the advanced features for your personal look and feel. Collaborate with your team in real-time. Manage your projects and track progress. And you can bring as many as you need. Test your wireframe and mockup. Invite people to try your design on their own device. Get feedback and you have finished your wireframe design. At NinjaMock we believe that simple things should be easy to master, while complex activities should still be supported. Evolve your best wireframe designs into complete screen flows while discovering our powerful mockup features for more complex tasks. Real-time collaboration is built into the core of NinjaMock. Commenting and external reviewer access are included in every plan. Professional multi-user companies will benefit from the shared project workspace with privileges on folders and projects. Work smart! It’s inefficient to begin prototyping with realistic elements and high-fidelity design. Having years of design and development experience, we’ve handcrafted the most optimal and efficient wireframe process for you. 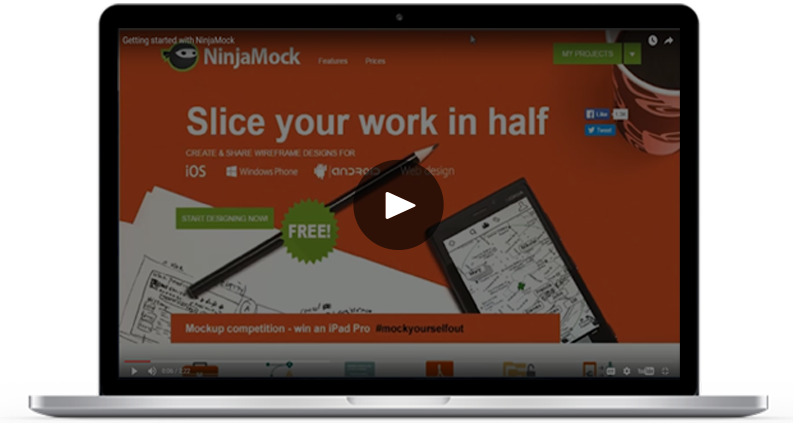 NinjaMock makes it incredibly easy and fast to develop your entire concept. Test usability of your app through clickable wireframes. NinjaMock shortens the turnaround time and saves you money. NinjaMock delivers all of the typical controls used in mobile apps and web designs. iOS, Android, Windows, Web: we have all you need to start prototyping apps for your mobile device projects. 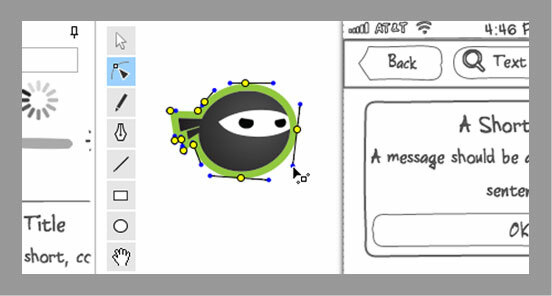 NinjaMock is the only online wireframe tool which includes a vector editor. Utilize shapes, curves paths and freehand drawing to quickly visualize anything you can imagine. We also have a rich set of vector icons for your mockups. 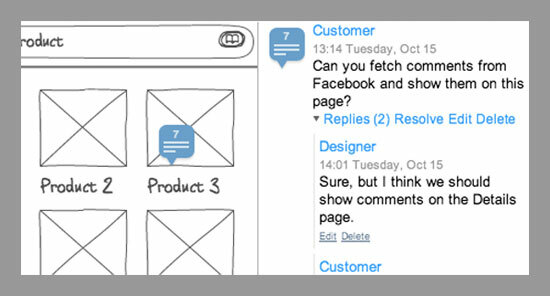 NinjaMock enables you to easily collect feedback on your wireframe design from anyone. You can keep track of your communication directly within the project. Visual indication of unresolved comments will help you understand how close to completion your work is. 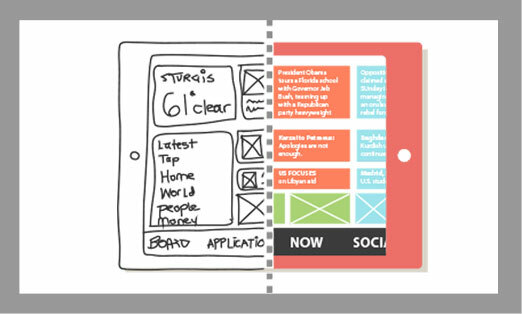 Want to share your wireframe the traditional way? Export to png, html or pdf, send the document by email or just print it out and bring to the meeting. Our smart visualisation of page links will help you navigate through the flow of your wireframe project even on paper. NinjaMock comes with a cloud-based file system to help you organize your wireframes - put projects into folders and manage access just like you do it on your computer. For individual projects, keep track of the status and unresolved comments. With a single click, you can make your wireframes accessible for review and usability testing on any device. You can control which pages in your wireframe project, that are ready to be reviewed and which ones are approved by your reviewers. Make your first wireframe in minutes - for free!
. @ninjamock is the real MVP.